On a warm and sunny morning in Burbank, CA, I had the honor to meet and converse with the legendary, Parnelli Jones at book signing at Autobooks. I’ve been fortunate to meet the man (now 83 and oldest living Indy 500 winner), a couple of times over the years and he has always been kind and willing to sign anything. The occasion was the release of the “Trans-Am Era” by Daniel Lipetz. Also, special thanks to Marc Vaughn, Senior West Coast Editor for Autoweek, for taking the picture for me. 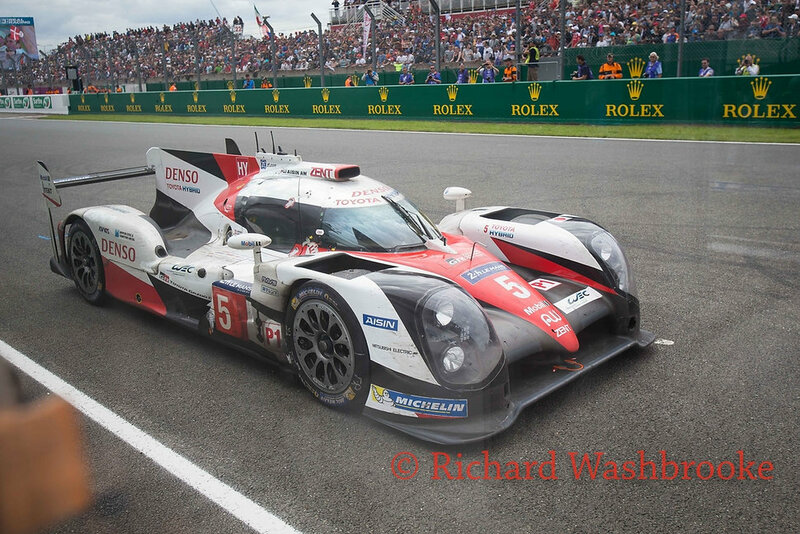 What Happened to the Toyota at LeMans? 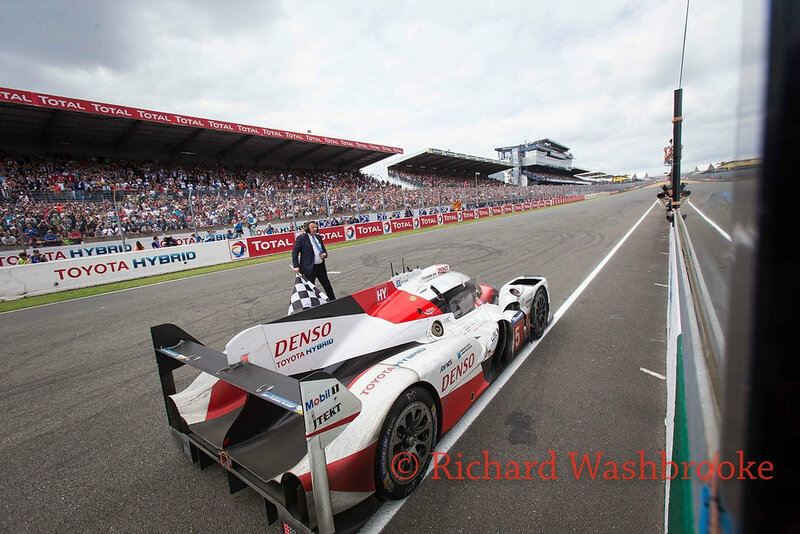 There were just two minutes left on the clock, when Kazuki Nakajima’s number five Toyota TS050 began to slow after the second Mulsanne chicane until coming to an abrupt halt but a few metres after the start-finish line. Nakajima could only look on in horror as the number two 919 Porsche Hybrid of Romain Dumas cruised past – the eventually winner probably just as gobsmacked at what was transpiring. 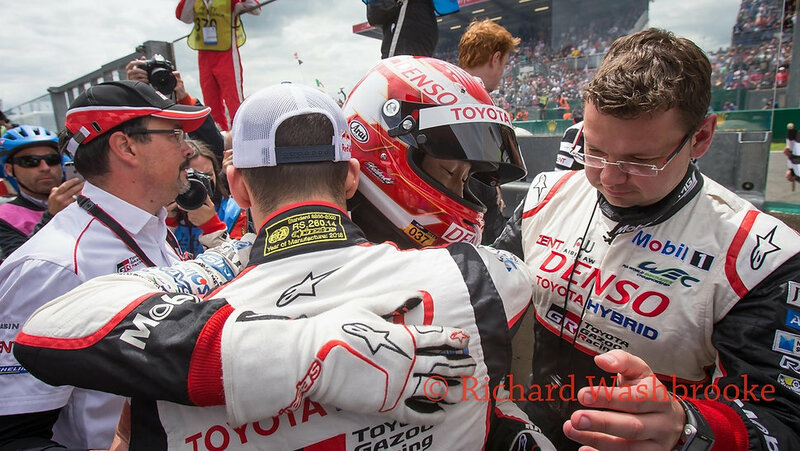 Nakajima was able to restart the Toyota, presumably on electric power, to complete his final lap final lap before stopping once again at the scene where Toyota lost sports car racing’s ultimate prize. However, with the lap being well over eleven minutes, the car was unclassified for not fulfilling the regulatory six minute minimum lap time. Nakajima had reported to the team that he was losing power and talk overheard in the garage from a U.S. journalist suggested that a turbo was the most likely culprit. But why no smoke? It’s possible that the turbo itself wasn’t the root cause, but rather a loose (or burst) intercooler pipe/coupler failure may have occurred, resulting in a loss of boost pressure. If this is the case, it’s unlikely to have been a progressive problem, rather a sudden issue that no-one could have predicted via telemetry back in the garage. Nobody was to blame, but blame never solves anything anyway.